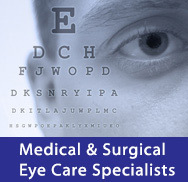 Glaucoma is one of the leading causes of blindness in the elderly population. It occurs when the pressure inside the eye increases and causes damage to the optic nerve, resulting in permanent visual loss. It rarely causes any symptoms in its earliest stages, and thus it is critical to have regular eye exams to catch glaucoma early. Risk factors for glaucoma include older age, family history of glaucoma, diabetes, use of steroids, prior eye trauma, and Afro-American ancestry. Treatment of glaucoma is aimed at reducing the eye pressure. This is most commonly accomplished using eyedrops, but laser treatment and eye surgery is also available. Careful monitoring by the ophthalmologist on regular intervals is critical to prevent disease progression, and at Liebergall & Paskowski Eye Associates we offer all the latest technology and treatments to prevent visual loss.